When you are planning to revamp your house, millions of ideas can come to your head. To make your house look significant, you can try out simple designing tricks. Sometimes, a minor change can create a huge impact. You can add new furniture, soften the color of walls, change position of furniture or bring some elements in living area, like paintings, lamp or even a plant. Take a look at some creative design tips and see how these can work in favor of you. Paint small rooms in lighter and softer hues - As per the tips given by Justin Urbas, this is a perfect way to maximize a small living space. Light colored walls make a room seem larger. The size of a room gets crammed with furniture, henceforth, soft hues and strategic placement of mirrors help in appearing the room bigger. Use decorative mirrors and paintings - Decorative mirrors and paintings can be used to fill up a empty space of a wall. As already mentioned in previous point that mirrors make a room appear larger, it also help to brighten up a space and add dimension to it. Paintings further enhance the beauty of the area. Mix up ancient and modern furniture - Your home reflects your taste, style and personality. Everything in your house tells a story. Therefore, there is no need to throw away old furniture and buy new ones. Keep your recently bought Afghani lamp on your antique grandpa’s desk. This will increase the beautify of the room. When you mix up your antique pieces with the contemporary ones, it brings warmth to your house. Add peppy color to bookcases - Bookcases are an ideal place to start your art because you do not have to paint a whole wall. An instant pop of color can brighten up the entire room within seconds. If you are looking for a simple way to transform a boring place, then nothing can beat this option. You can also add vibrant hues in hallways and ceilings, insides of closets and fireplace mantels. Use rugs over hardwood floors - Rugs are available in various textures, patterns and colors. Hardwood floors are beautiful, but they lack comfort in cooler months. Rugs provide warmth to your living area, especially during chilly winter. You can use rugs of different hues on the floor reflecting the seasons, like lighter hues for warmer days and vice versa. 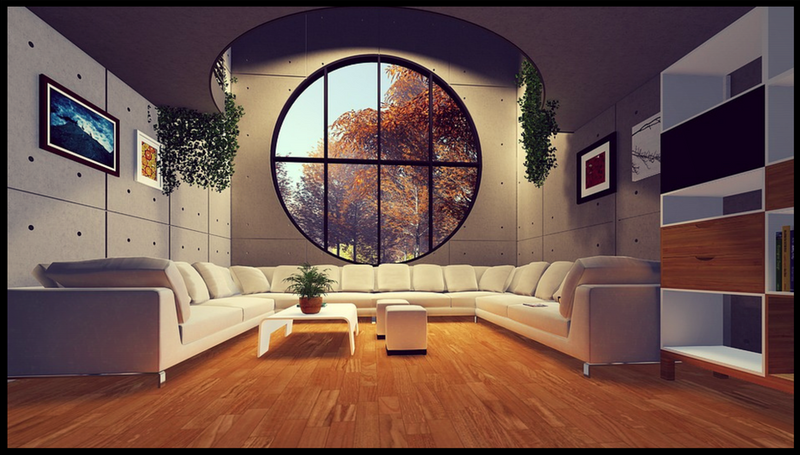 By opting these ideas, you can revamp the interior of your house in simplest and smartest way. Not all are going to require huge expenditure, some options are pretty cost-effective. Get inspired by these interior designing suggestion and see which one of these you are going to apply to your room, kitchen, dining space and living area.